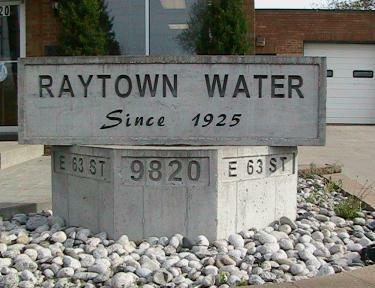 The Raytown Water Company (RWC) is a Missouri corporation, which was established 1925 to provide water utility service to industrial, commercial and residential customers primarily in the City of Raytown, Missouri, and certain surrounding areas. At the end of December 2006, RWC had approximately 6,496 customers. RWC’s water rates are established by the Missouri Public Service Commission (“MPSC”). RWC owns, operates and maintains 3 water storage and transmission systems (collectively the “System”), but is not engaged in the production of potable water. RWC’s only source of water is obtained from the Missouri River through the Kansas City Missouri Water Department . RWC also provides management of the utility, engineering and construction of capital facilities, operation and maintenance of the System and all administration necessary for the development and implementation of RWC’s water supply program. The Company’s Board of Directors has delegated authority for the management and daily operations of the Company to the President and Chief Executive Officer and the administrative staff. 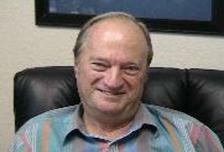 The President and General Manager is Neal Clevenger, grandson of the founder of the Company. Neal has been Secretary of the Company since 1986, General Manager since 1987 and President and General Manager since April, 1993. His wife, Mitsue Clevenger is Secretary since January 2003. Headquarters Building RWC owns its corporate headquarters building at 10017 E. 63rd Street in Raytown, Missouri. This structure is approximately 42,000 square feet, and has houses the company’s administrative, customer service and billing functions. All three towers in operation have telemetrics located at the Company’s office. The Company also owns a 50,000-gallon storage tower, which is not presently in use. The distribution system consists of approximately 69 miles of main. The transmission system consists of 16-inch through 6-inch PVC and ductile iron pipelines. Older portions of the System include 2-inch galvanized pipe, which the Company has been in process of replacing since 1992, and which upgrading will continue throughout 2006. The Company has spent approximately $ 216,128 for 3,377 feet of main replacements in 2003. 2002, the average day System delivery was 1.3 million gallons. RWC is subject to regulation by the Missouri Public Service Commission, which has jurisdiction over all investor-owned utilities operating within the state with respect to setting rates, rendering service and issuance of securities. In order to meet increased costs of furnishing water and wastewater services and to earn a fair rate of return on its rate base RWC periodically seeks increases in its rates and fees as required. The statutory time frame for the approval of new rates is 11 months from the date of filing. Water rate charges are collected by the Company based upon a rates approved by the MPSC.